Isn't it! A beautiful example of early 19th century Neo-classical. i thought it was victorian art nouveau.. Yes. A work of art. Reminds me of Edward Gorey. But aside from that, I don't recall seeing such extensive carving before. Not from anywhere around that period anyway. 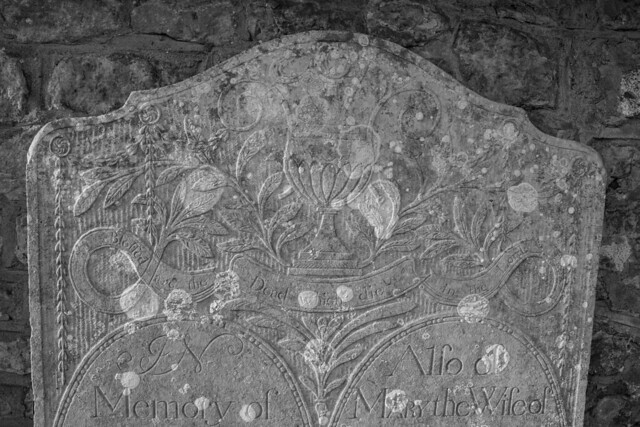 Yes, it's very unusual to see such a profusion of carving on an early 19th century Neo-classical headstone - I think the mason must have been influenced by Baroque memorials inside the church. But the result is just lovely. Ah, it is rather Gorey.